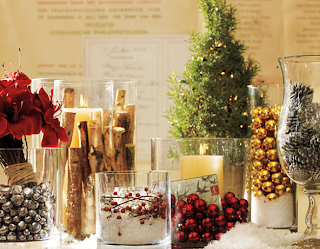 I saw this simple but elegant display in the Pottery Barn magazine. I decided to recreate it. I didn't have everything they had, but I improvised. I got all of the vases and all of the items in them at the DI.